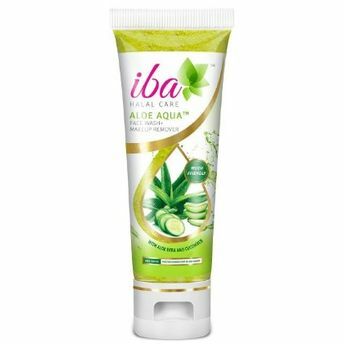 Iba 2 in 1 Aloe Aqua Face Wash + Makeup Remover. A unique sulfate-free gel formula that completely cleans skin and removes makeup while maintaining skin's natural moisture balance. Alternatively, you can also find many more products from the Iba Halal Care Aloe Aqua Face Wash + Makeup Remover range.